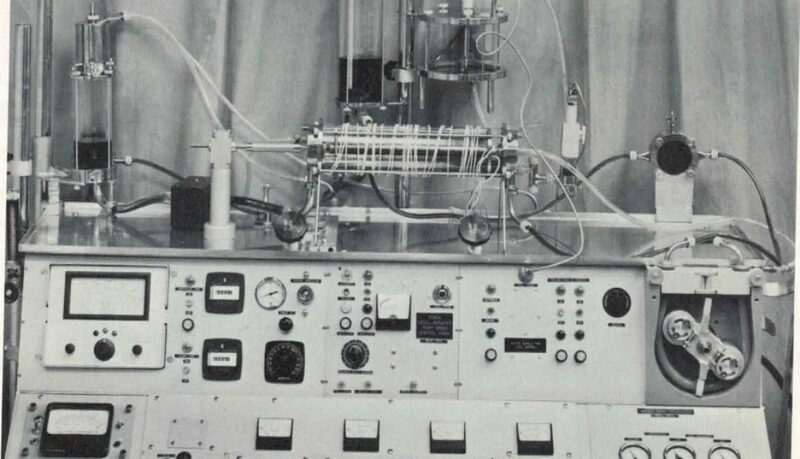 In October 1965, the American College of Chest Physicians printed an article titled “Experimental and Clinical Studies of Miniaturized Disc Oxygenator for Infants” Basically, the first proof that a heart bypass machine could be used on newborn infants so that surgeons could fix congenital heart abnormalities. According to the authors, before the development of the infant heart bypass machine, nearly 70% of infants born with theoretically correctable heart defects would only live a very short life. Many died within the first 18 months of their lives. This incredible advance in cardiovascular surgery was developed and manufactured in part by Pemco Incorporated. Pemco has a long history of developing surgical tools and instruments to help physicians treat patients. We are also continuing to work with physicians and engineers to design new items that will aid in robotic surgery, special procedures like the NUSS technique for treating Pectus Excavatum, and special pediatric sized retractors for resternotomy. 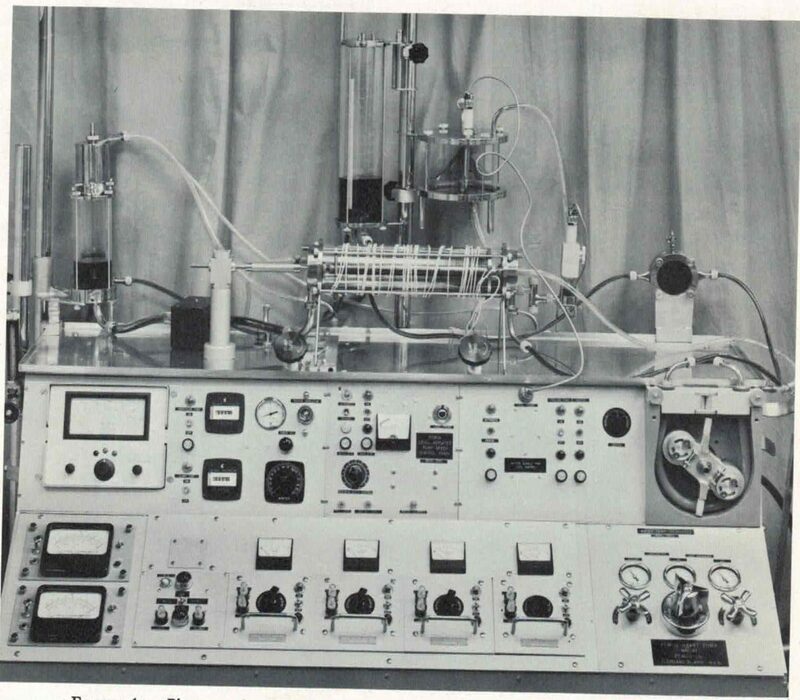 The actual oxygenator circuit build in 1965 is shown filled and primed prior to perfusion. When compared with disposable versions, the Pemco reusable coronary cannulas and hand-held suckers have been proven to be the most cost-effective and environmentally sound solution in the OR. First year savings can easily reach into the thousands of dollars, with a break even point after just 25 procedures. The following model shows the comparison of the Pemco reusable coronary sinus cardiplegia cannula with an average disposable version. Coronary Cannula Comparison using equivalent style devices for same application with 200 procedures a year. 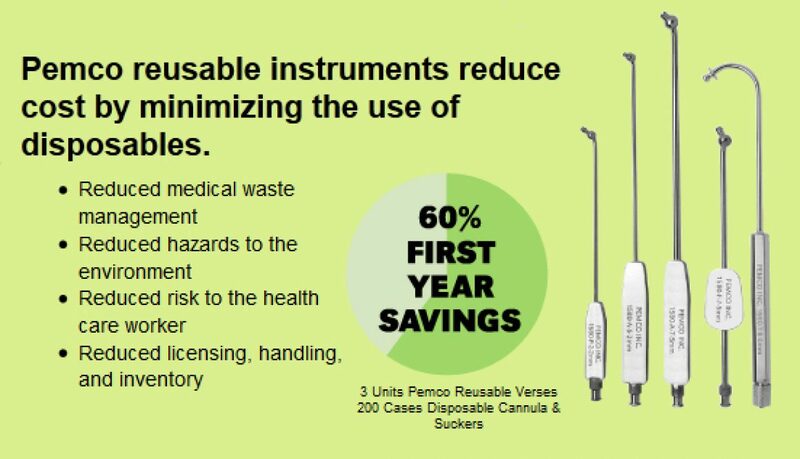 The estimated sterilization (SPD) cost of $1 per Pemco product use includes equipment and personnel cost for 5 minute inspection, pressure rinse, soak with other cannulated instruments. 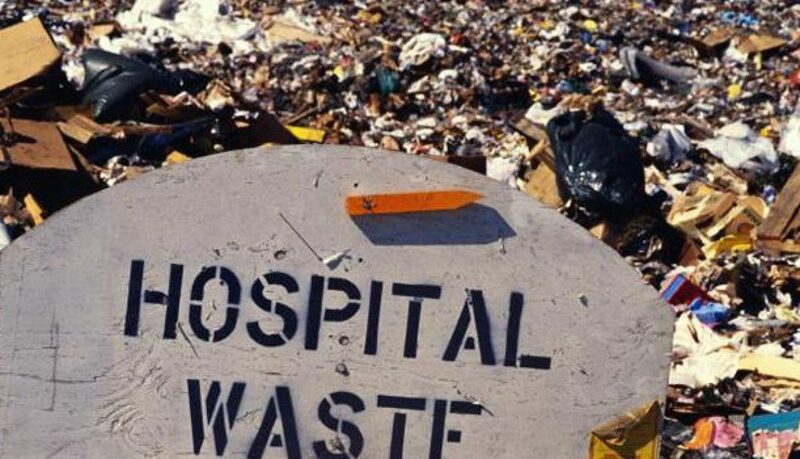 The estimated disposal cost of $1.25 per disposable product is based on disposal of medical waste, blood contact; metal and plastic. Pricing Disposable: $26.00 ea. Pemco Reusable: $700.00 ea. Conclusions Estimated first year savings of $3,150 based on 200 procedures. Overall savings of 57% utilizing reusable product in just the FIRST year. Pemco Reusable cannulas pay for themselves after the first 25 procedures. Similar results have been documented using our Pemco Suction Products. For more information about how your department can benefit from our reusable products, please contact us at info@pemcomed.com. 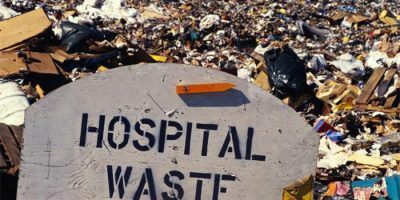 Here’s a link to an article from “Greening The OR” that is good reading for those interested in making operating rooms greener. Did you know billions of dollars are wasted every year, and to the detriment of the planet as it relates to plastic goods, simply due to a significant design flaw in a long standing medical and surgical use item we use everyday? Most of the surgical products used today are based on un-evolved logic and narrow scope. They look to the objective, but not the performance or function of the device during use to achieve that objective. Oh, it’s finally coming soon. We hope to have the first peak of our amazingly agile and patented surprise in weeks. It will change everything you ever thought you knew about this long-standing product and how it can be used for improved care. It will last years and be a conduit for both wired and wireless power transfer. And while we know it seems hypocritical as we sell single use positioning platforms, we will eventually evolve those in very unique ways. We never rest. Not just for positioning anymore: Infinitusmedical.comActivate link to view larger image.